This Holywood anti-vaccine thing is really getting fun. Apparently, Amanda Peet has decided to enter in on the side of evidence and medicine. Watch the video (it’s easier than reading) — toward the end you get to see JM do a nice bit of fear mongering… Meanwhile, I’m of to Mr. Skin to do a search on “Peet”, cao! 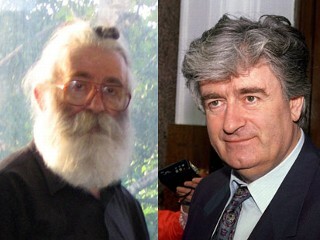 Radovan Karadzic has been caught. The leader of an area of Bosnia dominated by “Serbs” (that is to say Orthodox Christians) — he was in control during the massacre of 8,000 Muslims in the town of Srebrenica in 1995 and the 43-month siege of Sarajevo, where 11,000 people died from sniper fire, mortar attacks, starvation, and illness.